Hire web experts that can support you at the prices you can easily afford. A selection of maintenance options for your website, for busy business professionals and peace of mind. Let Host 99 take the hassle out of maintaining your website by doing it for you! These maintenence packages are a great option if you are not technically inclined, or if you are simply too busy to be able to do it. In addition, a discount to these packages is available with a 1 year commitment. To inquiry about our Website Maintenance Plans, please use our Contact Form or call (888) 901- Host (4678). Web Maintenance Sales open Monday through Friday from 8am to 5pm. 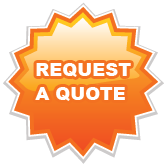 Contact Form is available 24/hrs a technician will review your inquiry and reply to you as soon as possible. It's really simple. Just email or call us whenever you would like to have something changed or added on the website and we do it for you. How fast would we work? Mostly updates can be taken care off within the same day or in next 48 hours of your request. Complex tasks may take slightly longer but we will deliver it within the timeframe we have committed. How will I come to know about the progress? As a part of our process we will assign a project manager with every request you place with us, who would be your Single Point of Contact and will work with you and the team to ensure the work is executed well. When can I get in touch with the team? We provide 24*7 Online and Technical Support. On the backend PHP and MySQL allow us to logically control and store data to present to your visitors. For in-depth programming projects making our code efficient and simple to maintain. Even for a simple website we make use of templating to reduce maintenance and development time. "Web Design and HTML are all about creating a great Web site. Use Web development and Web site design to build Web sites that customers return to over and over again. We currently offer Web design, HTML, XML, and Web development for all personal and ecommerce websites. We will make your ideas work on the web. Some of the following features of functions to be added to your site. Sometimes your needs can be fulfilled with one of the many freely available open-source web applications. We are familiar with a number of these packages and can help you with implementation and customization. Wordpress is an open source blogging platform. If you're goal is strictly to write articles to share with your adoring fans, Wordpress is the perfect fit. With a large community supported plugin catalog, publishing your articles and other media has never been easier. These web applications provides e-commerce functionality, with the ability to create multiple product categories, sales and quantity discounts, integrated credit card and PayPal payments, and a host of other features that enable you to run a successful online store. Upgrading your Zen Cart to the latest version can be a difficult and time consuming task. Let our professional programmers make the transition smoothly by ensuring that all of your currently installed modules work with the latest version. We'll not only update your files and database to the latest version, but also reinstall new versions of modules for the latest version of Zen Cart. Both of these packages are full-featured content management systems. Going beyond a basic blog, modules can be implemented such as catalogs, forums, and advanced user management. If there's a web application that you're interested in using for your website we can implement it. Updating your website software with patches / new versions are released. Optimizing and placing new images you supply. Research for stock images based upon your request / requirements. Maintaining eCommerce software (loading new products, adjusting product information, etc...). Monitoring forums and CMS, checking for spam. Proof reading provided content for typos and grammar errors. Posting new links and responding to I.T. eMails. Provide you with current backups. Monitoring Google Analytics and Google Webmaster Tools. (Professional optimized content service available). PCI compliance repairs, optimization, security configurations, code manipulation to meet compliance. Redesign of the site, including changing any design elements. Search Engine Optimization Services (see our SEO Services for details). Installation or Creation of subdomains or new installations. Integrating any new, third-party extensions (core extensions maybe acceptable). All other services not listed above. Any work required beyond the hours provided by the chosen package can be purchased at the rate of $35 per hour. 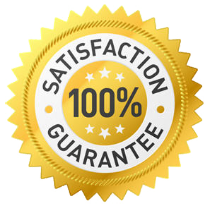 If you chose a Package with the 1 year commitment and later decide that you need a bigger package to meet your needs, you can upgrade at anytime. To order, please use our Contact Form or call (888) 901- Host (4678). This allows us to bring interactive features to life in your website design. On the backend PHP and MySQL allow us to logically control and store data to present to your visitors. For in-depth programming projects making our code efficient and simple to maintain. Even for a simple website we make use of templating to reduce maintenance and development time. "Web Design and HTML are all about creating a great Web site. Use Web development and Web site design to build Web sites that customers return to over and over again. We currently offer Web design, HTML, XML, and Web development for all personal and ecommerce websites. We will work as fast as possible to satisify you as the customer. Host 99 employees 10+ designers and developers to complete your project as fast as humanly possible. All projects are estimated upon agreement when the completion of your project can be completed. Host 99 offers a rush service option. Our rush service option will assign a dedicated designer and developer when requested to your project. This allows Host 99 to put your project assigned with dedication for fasster completion. For an additional fee on any package and add-ons, we offer an guaranteed express service for a quicker turn around. There is no loss in quality or creativity. However this service is based on certain terms and conditions including but not limited to the fact that we cannot deliver the rush service if multiple rounds of revisions are requested and that turn around time starts only after we get all required final contents etc. The turnaround is guaranteed if you purchase the rush service. Host 99 (Content Management System) package is the easiest way to have a website made and to keep it updated over time. Host 99's Ecommerce plan is the easiest way to have a custom ecommerce website made and to keep it updated over time. Getting a website is just the first step. Businesses need to regularly update and enhance their websites. Searching for high PR quality and link request relevant to particular industry. Modifying high PR Link exchange Directories and sending link exchange requests. Developing a dynamic and search engine favorable link directory for incoming requests. Providing you one way links through hundreds of our partner’s sites. Re-submission of link exchange if required. Why choose Host 99 Traffics Link Building service? No email spam used to solicit links. Must conform to CAN-SPAM act. Link building apart from increasing the ranking of a web page on search engine key word search, also helps increase the PR of a page. Mere search engine optimization, no mater how nicely done, is not sufficient enough to guarantee high search engine ranking. If you know anything about Internet marketing, you know that getting your website chief 10 rankings in the major search engines is absolutely vital to growing your virtual library business. It instantly drives highly targeted traffic to your website and it makes you a serious competitor in your industry. * Contact us today for a free SEO consultation & assessment. We listen to your goals, review your website and analyze your competition and give you our honest option and what you can expect from our SEO packages - all for free! There is no commitment and your information will not be shared with anyone. › Ready to get started with an SEO Plan or need more information? You can read through our SEO Service FAQ or complete a simple and free SEO planning assessment form. By listing to your goals, reviewing your website and analyzing your competition, you get a honest option of what you can expect with any internet marketing campaign and SEO package - all for free. You have nothing to lose and we’d love to talk to you!